Domovoi - купить по выгодной цене | Магазин комиксов "Двадцать восьмой"
In the Old Town of Stockholm, where myths are alive and creatures of folklore haunt the night, an extraordinary young woman named Jennie is caught in the scheme of a cadre of villains who control the means to free the Domovoi-the lethally dangerous, poltergeist-like spirit of the entire city! * Acclaimed artist and writer Peter Bergting brings deft storytelling and his knowledge of European folklore to this darkly modern fairy tale! 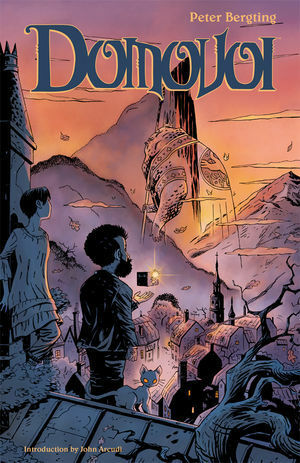 * Myth-tinged adventure in the tradition of Hellboy and B.P.R.D. !